Heart disease is the number one killer of men and women in the US, and many of the contributing factors, such as high cholesterol, don’t cause any symptoms. It’s important to schedule regular screenings with Dr. Neil Jaddou at Somerset Family Medicine SFM to make sure high cholesterol isn’t causing you undue risk. If you live in or around Troy or Sterling Heights, Michigan, reach out to Dr. Jaddou online or over the phone to take proactive prevention against this silent killer. Cholesterol is a waxy substance produced by the liver or consumed from food that circulates in the bloodstream. Our bodies depend on cholesterol to keep cells healthy. However, when your body has more circulating cholesterol than it needs, some of the substance builds up against your blood vessel walls and restricts blood flow. If your LDL cholesterol is too high or your HDL cholesterol is too low, you may be diagnosed with high cholesterol. Dr. Jaddou also looks separately at your LDL, HDL, and triglyceride levels and a few subsequent lipoprotein panels to confirm high cholesterol. High cholesterol levels result from either too much cholesterol consumption or excess cholesterol production in the liver. Genetic factors may predispose your liver to produce too much cholesterol or your cells to process it ineffectively. Lack of physical activity, poor diet, and obesity can lead to cholesterol accumulation in your system. While you can’t control your genetics, you can take steps to control your habits. High cholesterol doesn’t cause any noticeable symptoms, so many adults to be unaware they have the condition. Cholesterol could be causing irreversible damage without you knowing it. High cholesterol leads to atherosclerosis as the fatty deposits build up and narrow the blood vessels. This results in poor blood flow and other dangerous risks. You may notice heart pain (angina) if blood flow to your heart is impeded. If a blood clot breaks off and blocks blood flow to the heart or brain, you can suffer from a life-threatening heart attack or stroke. Dr. Jaddou helps you find the lifestyle adjustments and medication that work best for you. 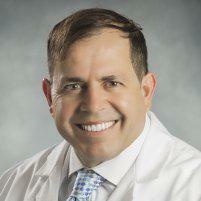 Dr. Jaddou recommends healthy habits as your first effective line of treatment. A healthy diet, exercise, and weight management provide long-term prevention against high cholesterol. If you can’t lower your cholesterol levels with lifestyle factors alone, Dr. Jaddou may prescribe cholesterol medication. Statins, bile-acid-binding resins, and cholesterol absorption inhibitors are some of the most common cholesterol-lowering medications. 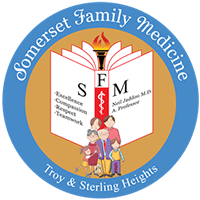 If it’s time for your annual cholesterol screening, contact Somerset Family Medicine SFM online or over the phone to check in with Dr. Jaddou.